Earlier today we showed you the first sneak peek of the 2013 Roush Stage 3 Mustang and told you that we’d let you know if we heard any more details about the car. Well, we already have some. Roush has just released a new photo of the car, this time showing the engine plaque inside the engine bay. The badge shows that the car is the first production Stage 3 Mustang for 2013, but more importantly it reveals the car’s supercharged 5.0-liter V8 will produce 565 horsepower and 505 lb-ft torque. This is an improvement of 25 horsepower and 40 lb-ft torque compared to the 2012 model, which produced 540 horsepower and 465 lb-ft torque. As of right now we don’t have any more photos or details details about the 2013 Roush Stage 3 Mustang, but we’ll be sure to share them as soon as we get them. Given how quickly Roush released this second photo, we’re guessing that we’ll have more to share fairly soon. 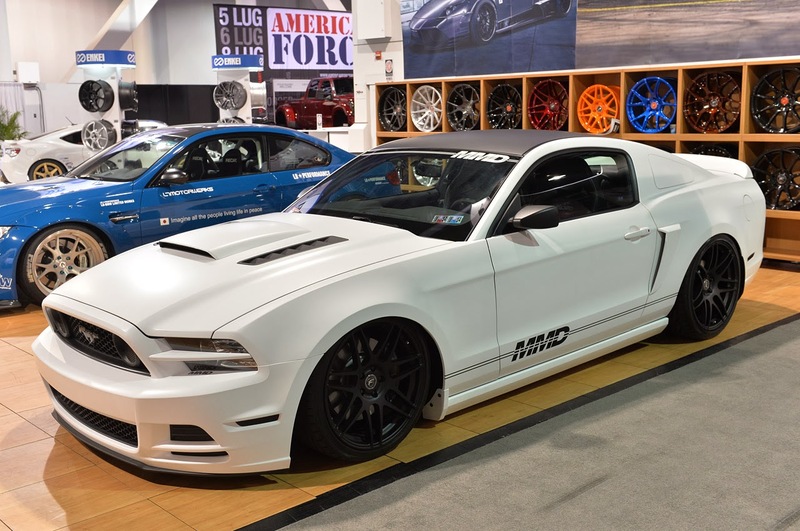 This entry was written by by MustangsDaily (Mustangs Daily) and posted here on Tuesday, March 13th, 2012 at 12:52 pm and is filed under 2013 mustang, 2013 roush mustang, 2013 roush rs3, 2013 roush stage 3 mustang, News, roush mustang, roush rs3, roush stage 3 mustang. This article was not written by us, rather gathered using RSS feeds listed here. We take no credit for this article. You can leave a response, or trackback from your own site.